Here are a few exciting tidbits of news from the LR community to round out our last day of posts before hiatus (which takes effect tonight, along with the submissions deadline for Issue 4! Don’t forget to send your work in—the system will be open until 11:59 pm EST). LR contributor Kenji C. Liu sent us a link to this awesome video he created for his poem “A Son Writes Back” (the most recent version of which appeared in Issue 2). 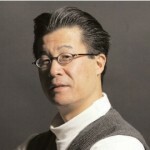 The video combines an audio performance of Kenji’s poem with musical accompaniment by Jason Jong. According to its caption on Vimeo, the visuals in the piece are footage from “a US Air Force propaganda film portraying aerial attacks on Imperial Japan during World War II.” Watch the embedded version below, or follow the links beneath it to watch on Vimeo. 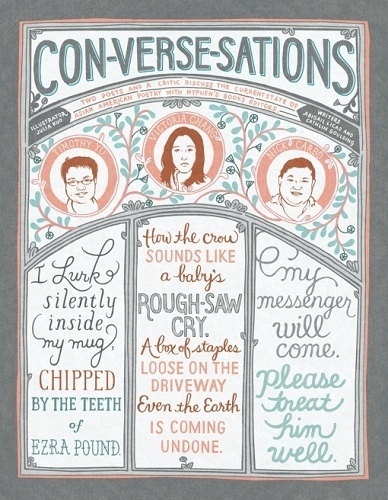 (A Son Writes Back – Poetry by Kenji C. Liu – Kou Xiang by Jason Jong from Kenji Liu on Vimeo). Not only does Issue 3 contributor W. Todd Kaneko’s work appear in the 10th issue of the Los Angeles Review, but the magazine recently featured his poem “Remembering Minidoka” online as one of the issue’s “highlights”! To read the piece, click here. Many congrats to Todd on this honor. The heading says it all: Bao Phi’s collection, which Greg Choy reviewed for us last week, has been reviewed (and highly praised), by The New York Times. Our congratulations to Bao on these well-deserved accolades. Issue 3 contributor Melissa R. Sipin was inspired enough by Wendy’s interview with Kimiko Hahn (and by the APR interview that Wendy references) that she wrote a poem in response! She’s shared it on her blog. Thanks, Melissa, for your thoughtful engagement with Kimiko’s words! 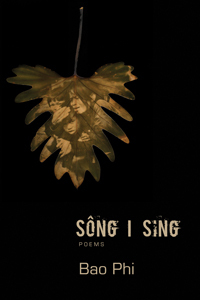 After reading Bao Phi’s remarkable collection of poems, Sông I Sing, I was reminded of an incident that occurred about ten years ago when I was an assistant professor at the University of Minnesota. 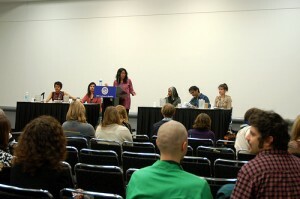 I was attending a panel discussion at UMinn entitled, simply, “Asian American Poetry,” sponsored in large part by Minnesota Poets Society, and was greatly looking forward to listening to two acclaimed Asian American poets speak on the topic. Disappointingly, the only thing the Society members, through their persistent questions about it, seemed interested in was the “poetic process”—and more particularly a process devoid of those nattering issues about race, identity, or politics. Toward the end of the discussion, an elderly white woman, clearly a senior member of the eminent Society, raised her hand and said, “Well, after listening to you both talk about your poetry, I’m wondering why we need to apply the name ‘Asian American’ to your poetry at all.” To my astonishment, at the time, both poets—both award-winning Asian American poets—agreed that the term “Asian American” as it’s applied to their poetry or to them as poets, felt limiting if not downright debilitating. Such a response has its precedent. It’s reflective of the conundrum of the ethnic writer: how to keep from falling into the binary of either writing to a prescribed aesthetic steeped in a history of political ideology or writing as a fully realized individual shaped by an accumulation of discrete, personal experiences. It ‘s a false binary, of course, as a number of Asian American poetry anthologies have already shown, from The Open Boat: Poems From Asian America, edited by Garrett Hongo, to Premonition:The Kaya Anthology of New Asian North American Poetry, edited by Walter Lew, and Asian American Poetry: The Next Generation edited by Victoria Chang. All three anthologies rally around the diversity of themes and poets as opposed to a unifying call to some singular identity and community. 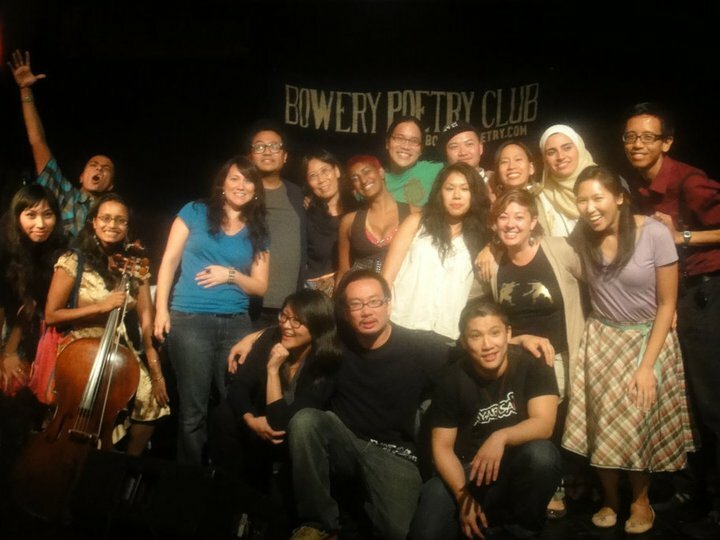 Though anchored from a historical perspective to linear coordinates such as identity construction and political ideology, Asian American poetry is not bound to those coordinates. It is a fluid, changing body of work in time and space. Derek’s images have constituted an unparalleled photo archival project documenting AAPI artists who have traversed the Sulu Series stage. Through cycles of tears and joy, the reverence for spoken word poetry legend—or “community celebrity” as my Sulu DC co-director, Jenny C. Lares, and I like to call him—Regie Cabico and his life’s work was palpable.